Thank you JACKSON PUBLIC RELATIONS for providing tickets for this experience in order for us to provide this review. All opinions are 100% our own. 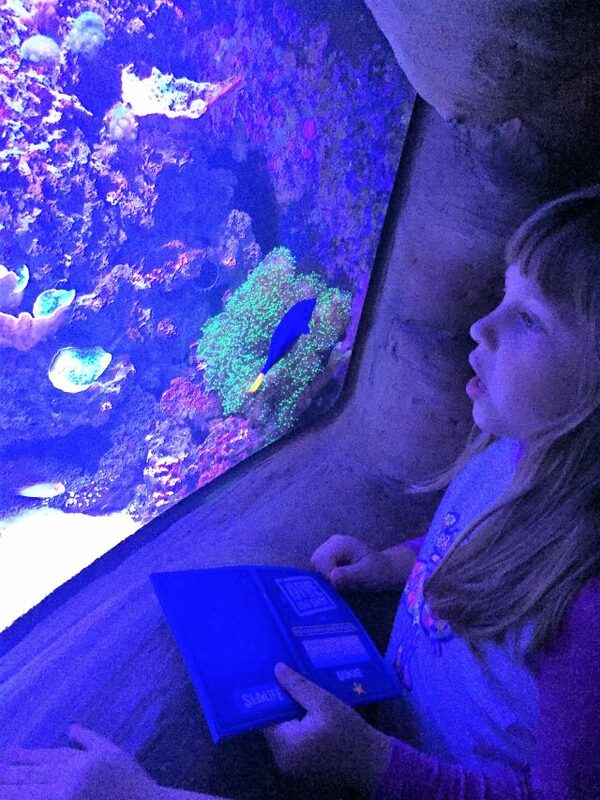 Visiting the Dallas-Fort Worth (DFW) area and wondering what there is to do for family fun? 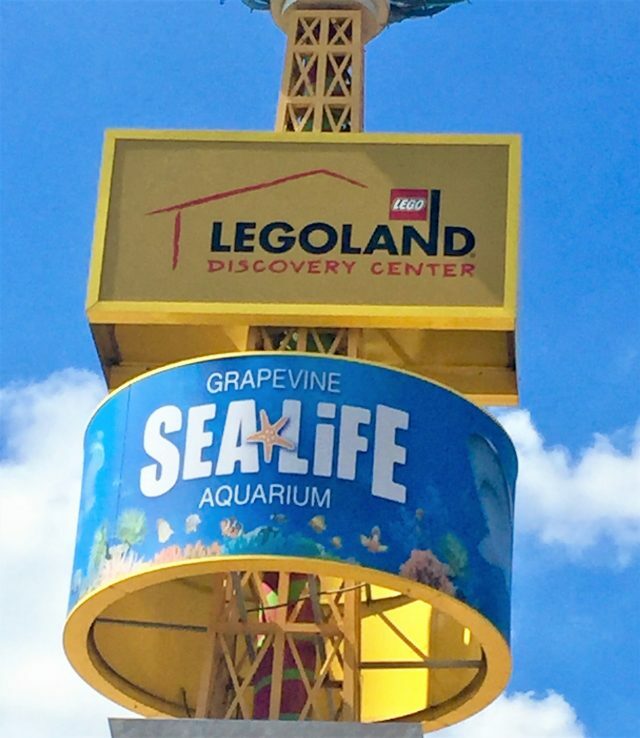 Look no further and venture on over to Grapevine, a DFW suburb conveniently located near the airport and take in two of the best family-friendly attractions there; LEGOLAND® Discovery Center and SEA LIFE Aquarium. 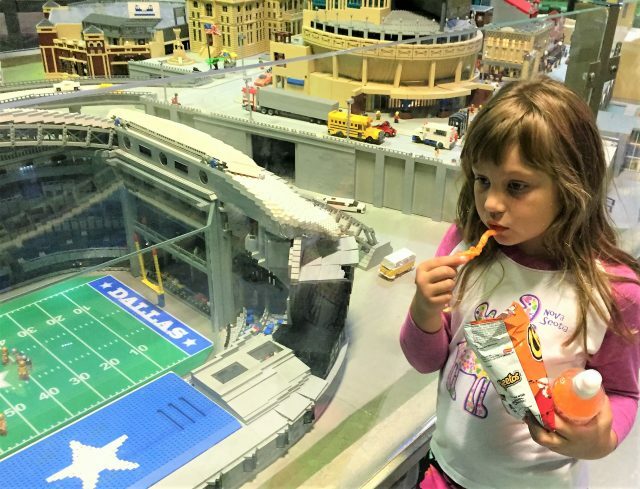 There is so much to see and do at these two sites so I have put together the top 10 reasons my family loves to visit LEGOLAND® Discovery Center Dallas Fort Worth and SEA LIFE Aquarium Grapevine for you to check out. It seems nowadays every attraction, festival or family fun spot charges for parking so you have to make sure you factor that price into your budget. 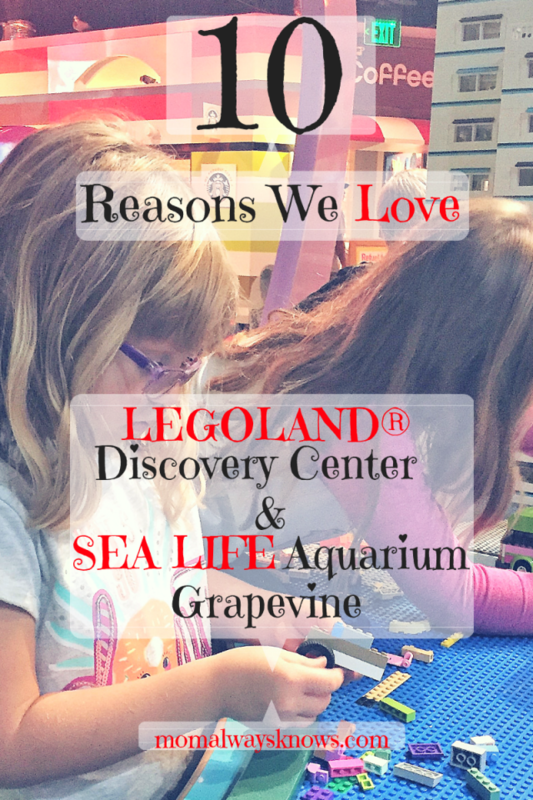 We love going to the SEA LIFE Aquarium and LEGOLAND® Discovery Center at the Grapevine Mills Mall because there is no extra charge for parking! Just pull in and park like you would at any mall and walk in- Bonus! They even have valet parking service at the mall if that is your thing, just pull up to the valet stand by AMC Theater and they take it from there. One of the best parts about visiting these two attractions to me is it is a one-stop shop! Both of these attractions are located on the same wing of the mall and right across from each other so it’s super easy, like I mentioned, to park and pop in to both sites for an afternoon of family fun! You’ll want to make sure you plan enough time to do both so check their websites for hours of operation and plan accordingly. Two to three hours for your visit to LEGOLAND is usually about right and 60 to 90 minutes to enjoy the full SEA LIFE experience. LEGOLAND does not allow re-entry but SEA LIFE does. 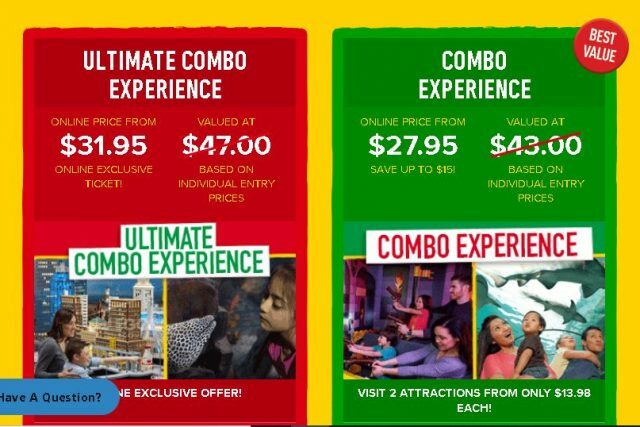 You can purchase combo tickets at a discount to visit both attractions instead of paying more when buying them separately! Of course you can purchase this combo once you get there but try to do it online before you go for the max discount. Hit both of them in the same day if you have time or you can use your SEA LIFE anytime within 14 days of your LEGOLAND® Discovery Center visit. You will be working up an appetite for sure so the onsite LEGO®-themed Coffee Shop is just what the doctor ordered! Sandwiches, salads, snacks and ice cream are available at great prices! You can even pick up your favorite Starbucks Frappuccino too if coffee is your thing! Not in the mood for sandwiches? Walk out into the Grapevine Mills Mall and pick from 30 some restaurants like Applebees, Chick-fil-A or Rainforest Cafe. It’s all right there and super easy! 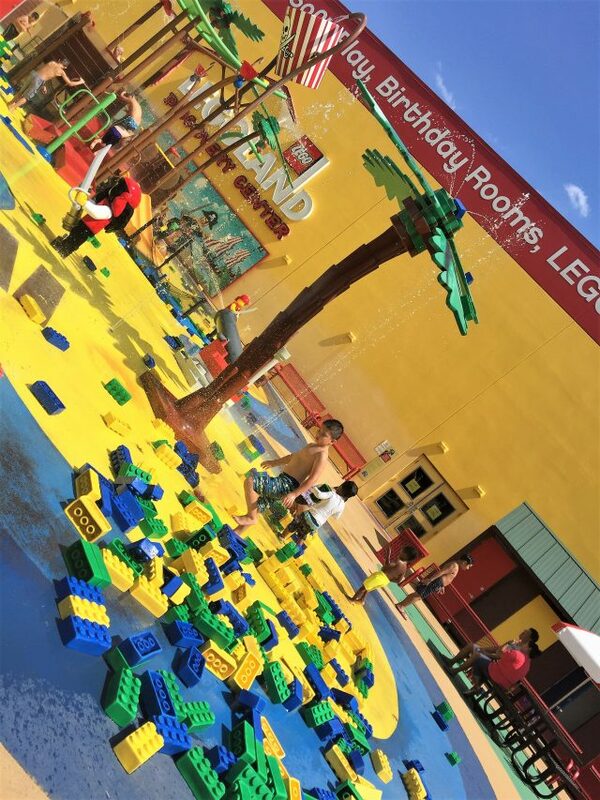 Believe it or not if you park north of the AMC movie theater and walk up to the entrance of SEA LIFE and LEGOLAND® Discovery Center, you will be wowed by a large very kid-friendly LEGO & Pirate themed splash park! Yes, you can splash before, after or during your visit to LEGOLAND, just don’t forget a towel and change of clothes. Pirate Beach, as its called, has water jets, fountains, water cannons and slides and is a great way to enjoy the sunny days in DFW. It is open only seasonally so make sure you check the website to make sure it is open when you are visiting! My kids love looking for the hidden treasure on the pirate ship and running around throwing foam LEGO bricks at each other! 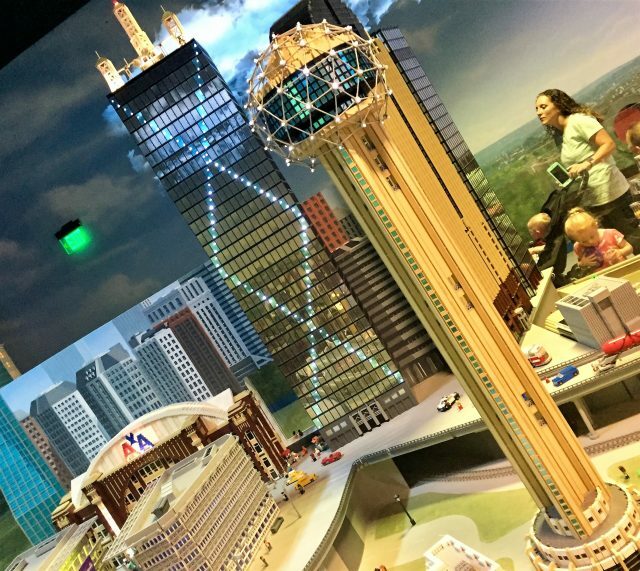 Don’t worry about whether it is too hot, cold or raining in DFW because LEGOLAND Discovery Center actually has real rides inside and they are included in the price of admission! 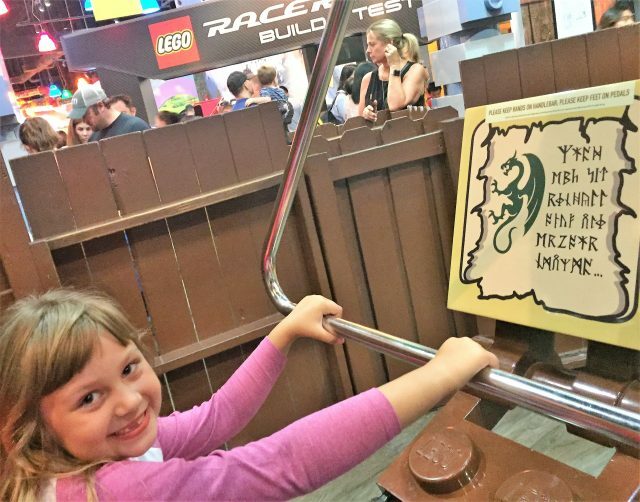 Merlin’s Apprentice lets you pedal high up into the air and the Kingdom Quest is a four person chariot that you can ride as a family to save the princess and zap sneaky skeletons. Your kids will love driving an actual car at the Forest Ranger Pursuit where they can try to catch robbers and return the stolen gold to LEGO City. The days we have been the lines are not too bad but be prepared to wait five to twenty minutes for any given ride. Who doesn’t love Sea Turtles? At SEA LIFE you can watch the sea turtles and check out the new permanent exhibit where real aquarists work with real injured patients through the glass in the aquarium’s rehabilitation facility and hospital. The kids had so much fun becoming turtle rescuers for the day and collecting mock turtles from the beach. 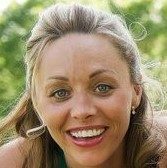 They got to name and weigh their patient then go on a virtual rehabilitation journey with them. After using an x-ray machine to diagnose and remedy their turtles injuries, they got to nurse their turtle back to health at the feeding and hydration station then even release them back into the wild. Of course they were not real Sea Turtles during this process but it let my kiddos learn first-hand about rehabilitating sick and injured sea turtles! SEA LIFE has really cool demonstrations included in the price of admission too! Just check their website for the times that you can watch them feed the sharks at Dinosaur Dive or the stingrays at Stingray Bay just to name a few. My kids and I love spending time at the Rockpool for the Interactive Rockpool Experience that lets us get up close and touch crabs, sea stars and urchins while learning all about the slippery little creatures from the awesome SEA LIFE team! If you love LEGO then this is a must-see! It is mind-blowing if you think about all of those bricks (over 1.5 million) and how much time it probably took to build this interactive city. If you are visiting DFW or live here you will love walking around MINILAND and looking at all the detail that went into building the city. American Airlines Center, the Dallas Cowboys AT&T Stadium, DFW airport, Reunion Tower and even SouthFork Ranch are all represented here for you to be amazed with. The city looks so real and is super cool as the towers even glow and the land changes from day to night! Little mischievous Minifigures are also hiding in MINILAND so your kids will have a blast trying to find them! I saved the best for last! Among the thousands of amazing creatures that call SEA LIFE home, our favorite has got to be the sharks! 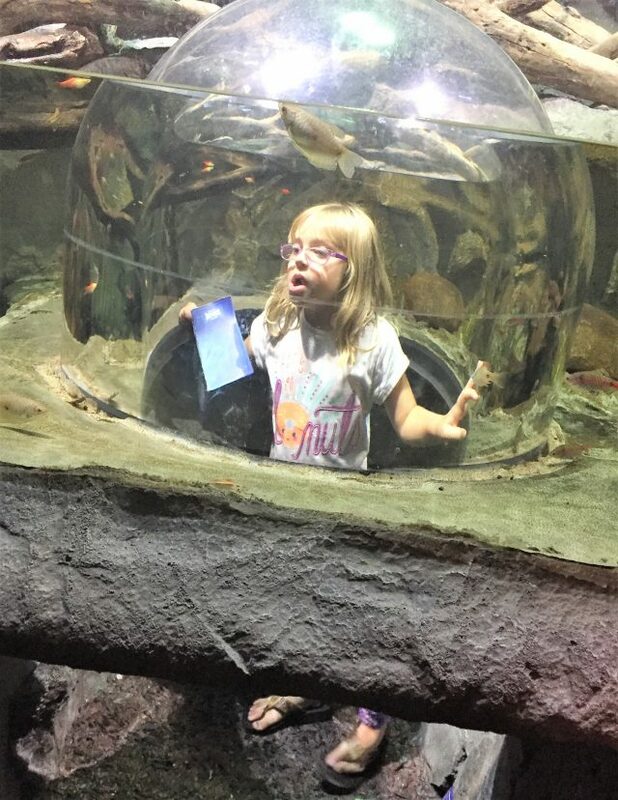 My husbands favorite part of our trip to SEA LIFE is always walking through the awesome underwater ocean tunnel for 360′ degree views of many sea creatures like sharks, rays and their rescued sea turtles. 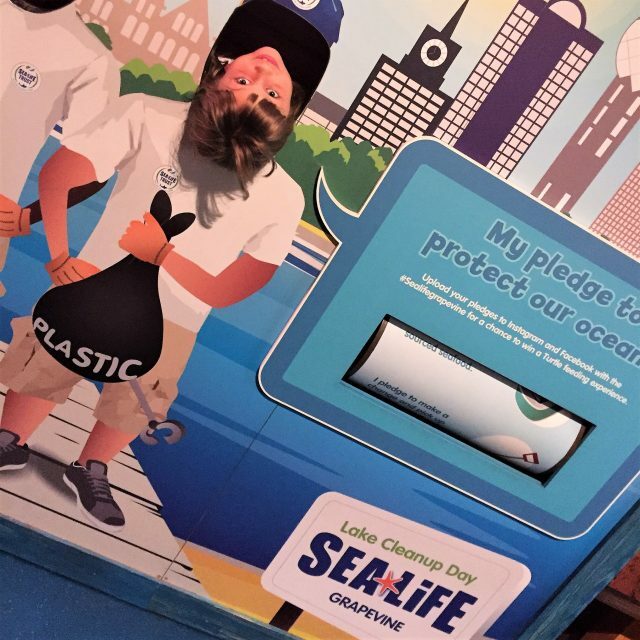 There are over 500 species of shark in our oceans and you’ll see a few species when you explore at SEA LIFE. Bonus tip- They feed the sharks at 1pm on certain days only so make sure you check out their website for times! Enjoy your trip! Let us know in the comments below if you have been or plan to go?